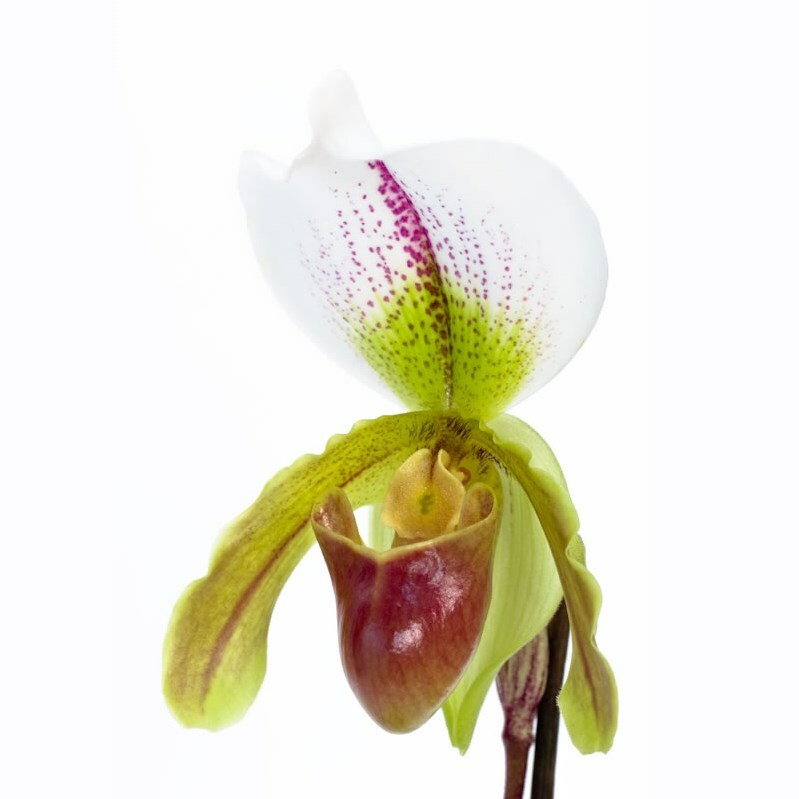 Paphiopedilum Orchid - leeanum is a White / Green cut flower. It is approx. 30cm and wholesaled in Batches of 30 stems.